After returning to California from a career on the East Coast and the JET Program, I entered the AmeriCorps national service program at UCLA to begin a college counseling center at Audubon Middle School located in the Crenshaw area of Los Angeles. Passionate about my daily work, I decided to enter the School of Education at Loyola Marymount University. LMU’s School of Education focuses on social justice in both theory and teaching practice. After receiving a Master’s of Secondary Education degree and a Single-Subject Credential to teach English, I continue to serve the university as an alumni board member of the School of Education. Since 2010, I have worked to build the social justice charter school Los Angeles Leadership Academy, located in the Lincoln Heights section of L.A. I have taught English 9, English 10, English 10 Honors, Journalism, as well as create the Speech & Debate program. When I began teaching 10th grade English, I started teaching the Socratic method in order to have a discussion-based classroom. From my time as a speech and debate coach, I noticed an engaged student that develops into a critical thinker, critical reader, and critical writer. I also noticed an expanded increase in the students’ English language acquisition. Our speech & debate team began to win trophies at tournaments for the Los Angeles Metropolitan Debate League and the Southern California Debate League (CA High School Speech Association). Once I put it all together, regardless of what class I was teaching, I noticed a profound impact on my students. I continue to dedicate my teaching and focus much of my pedagogical teaching practice on the development of discussion, deliberation, and debate. Our school became a charter member of the National Speech & Debate Honors Society. 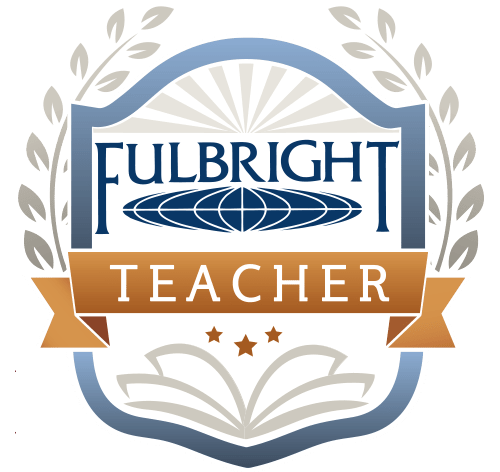 In March 2016, I received the Fulbright Distinguished Award in Teaching to develop a “best practices” inquiry project based on these methods. Having finished the Fulbright Distinguished Award in Teaching, I have decided to take my teacher-researcher approach into a Joint Ph.D. Program at San Diego State University and Claremont Graduate University.